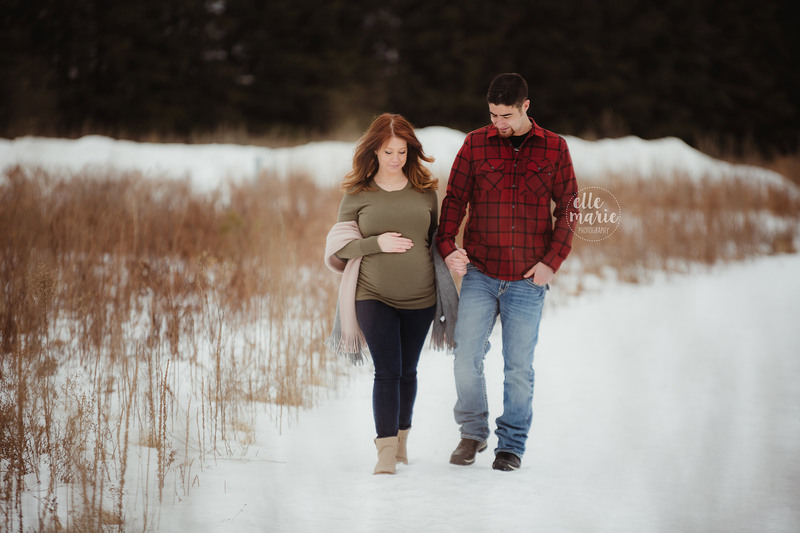 When Carolynne first reached out to inquire about maternity and newborn photos, she mentioned Starbucks in her email. I knew at that moment, we were destined to work together! 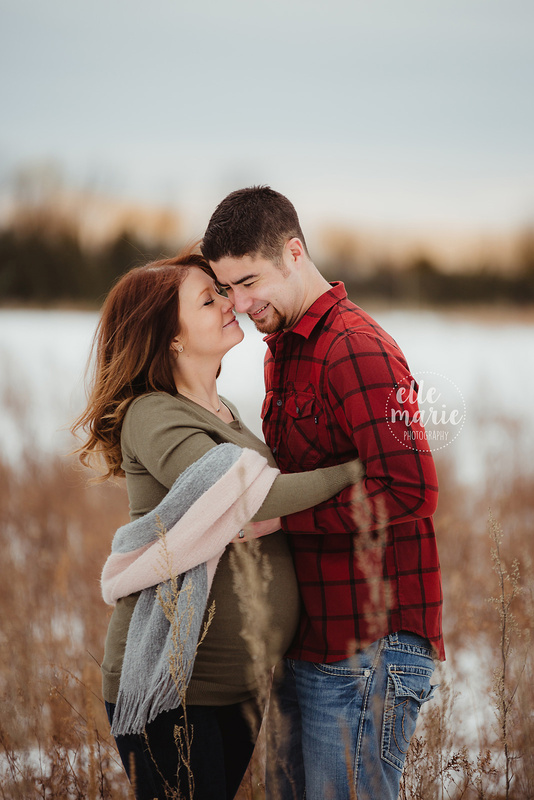 I met Carolynne and Ryan at Heber Down, in North Whitby on a chilly February afternoon. 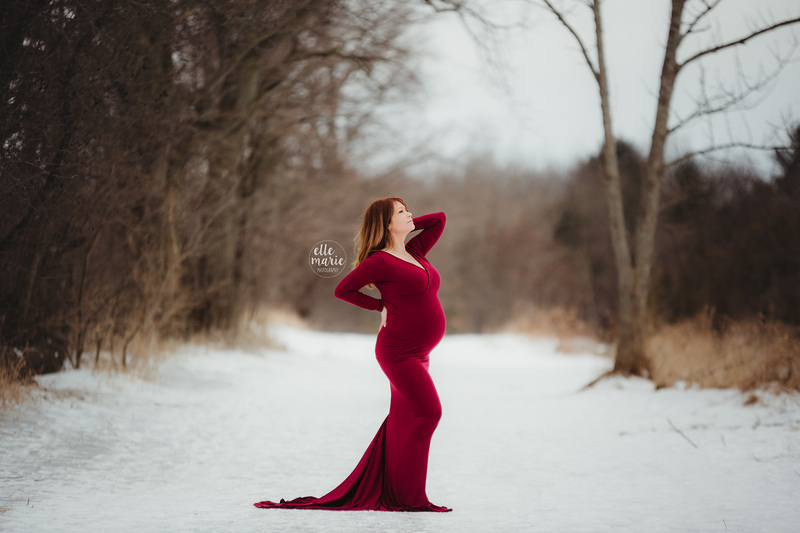 We started with a series of photos in cozy winter clothes, and then Carolynne changed outfits and we took some stunning portraits of her in an amazing red gown by Amy Corneau. I’m in love with what we captured that day. I don’t often get couples willing to brave the cold, but the results are always so beautiful! Now, we patiently wait for little babe’s arrival! After our session was done, and the photos had been revealed, I asked Carolynne if she could join me in my studio. I was hoping for a short session together so I could capture some images I needed for an upcoming event. So, we got together the following week and created some in-studio portraits as well. We worked with 2 outfits from my studio collection, and 2 different looks. I’m also equally in love with these photos!